50 medium wood slices. Slices vary from 6-7cm in diameter. Wood type and size may vary per order. It is natural that some wood bark may fall partially from the slices. Please consider before ordering. 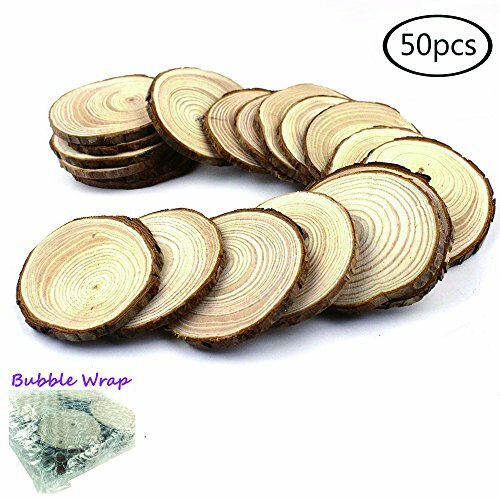 Ideal for DIY hand painting, coasters, backdrop decorations, photo props, wedding decorations, etc. It is natural that some wood bark may fall partially from the slices. If you have any questions about this product by Good Lucky, contact us by completing and submitting the form below. If you are looking for a specif part number, please include it with your message.